GDP may be used to measure a country’s economy, but it doesn’t tell you what it’s like to live in a certain place. That’s partly why Bhutan chooses to measure GNH, or Gross National Happiness, instead. To address the intangible factors that make up a country and its people, Gallup regularly conducts a Global Emotions Report. The survey, which covers 148 countries, aims to see how often residents feel positive or negative emotions on a day-to-day basis, resulting in data that illustrates where in the world people are more likely to laugh – or experience anger. Based on the latest report, Latin America holds the majority of the world’s most emotional countries, with Iraq, Cambodia and the Philippines also in the top 10. We sought out residents in these countries to find out what it’s like to live in a place where feelings – both good and bad – run high. Historical trauma has left its mark on Cambodia, with many residents still remembering the genocidal reign of Pol Pot and the Khmer Rogue, when more than 20% of the country’s population was killed. Though the associated emotions can still feel fresh even 40 years later, residents don’t always share those feelings easily. Despite this heavy psychological toll, residents are extremely friendly and welcoming to outsiders. 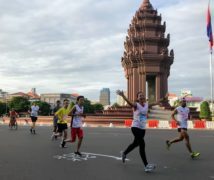 “Everywhere I go, I meet people who say that they love Cambodia/Phnom Penh because of how kind and friendly Cambodians are,” Keo said. She also mentioned how easily Cambodians smile, especially when compared to people of other nationalities. 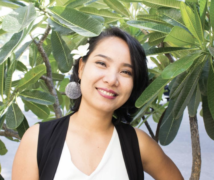 Colombian-Canadian Carolina Borras, who lived in Siem Reap last year and writes the Inspired Nomads blog, found the same to be true. “Even as I turned down the touting from tuk tuk drivers and others, they would smile,” she said. “I was able to create some friendships with locals simply because they were so open to the experience. Most expats move to the capital Phnom Penh, located in the southern central part of the country, or to the tight-knit community of Siem Reap, 300km to north. While very affordable, both cities suffer from street crime and road accidents, so residents keep a constant awareness of their surroundings. My note: Cambodians aren’t actors, but we’re people who have gone through the worst and perhaps the most unthinkable. I personally think that it is truly confusing and at times mysterious as to why sometimes we’re very emotional and sometimes emotional-less. That why i always cry when i watch TV but i cannot compared to my gramparent or old people in village cos they suffer long time and cannot forget. This article was surprising me during reading it because I am working in the travel industry and I honestly and truly love Siem Reap one of the best travel destination in Cambodia. Now it became an emotional country? Wow, it is time to make Cambodia light up the tourists like other Asian countries. let’s make it happen! I hope Cambodia will not become as touristy as Thailand. It would lose its charm. Hey! I’m doing research about the emotions in Cambodia. I’ve downloaded the global emotion report from 2016 don’t see anything written about Cambodia. Where did you find this information? It would really help me. Thank you!